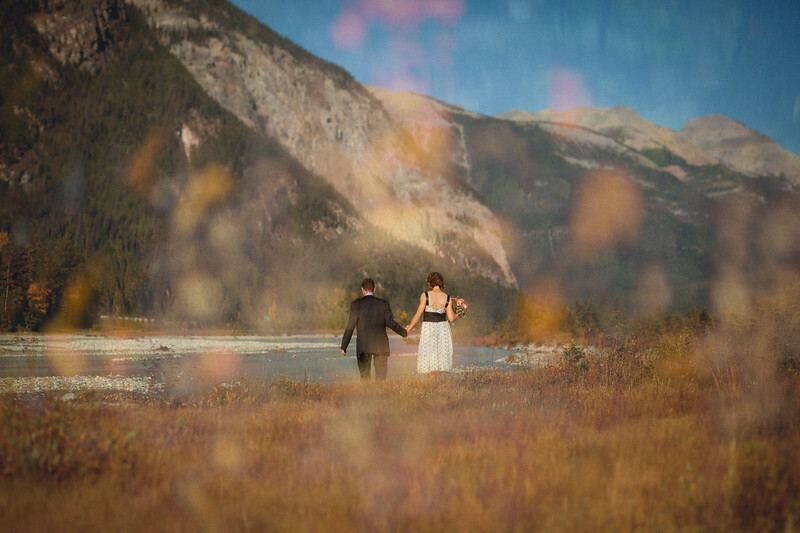 These newlyweds took a stroll down to the river in Field BC. It was a scorching hot day. In this photo I layered it with another shot I took from that day by accident. Creating this dream like surreal image. Creative edits are something I am passionate about, and will sometimes spend an hour or two on a single photos. Noted too that I am always learning how to do things in that time.